Been REALLY busy, but finally time for a blog entry! Over the next few weeks there will be ALOT to read, so it will be worth it! 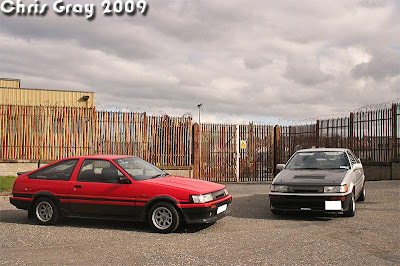 For now I will upload some photos of my Japan import AE86 and my Friends UK spec AE86...VERY different and made for a good photoshoot! Personally I do like both models. 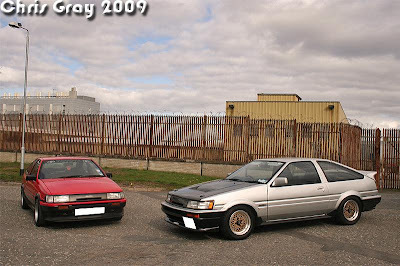 Ireland has a huge love for the AE86 as many know, but a very 'split' scene, with a big divide of UK/Jap Spec...It has been raised many times, and even results in arguements haha, but I think its all good. For me, I prefer a nice clean, higher spec'd Import, good tuning, better styling, extras etc, compared to the more simple, understated UK. 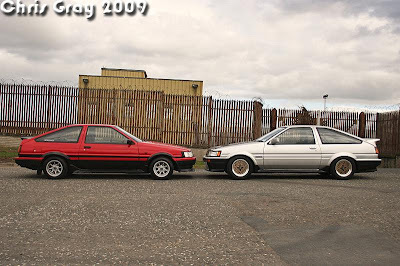 It's a debate that will go on forever, considering the now huge 'cult' that has been made around UK AE86's...but, I wont be selling mine for one, Function over Following (the crowd) is what I say! 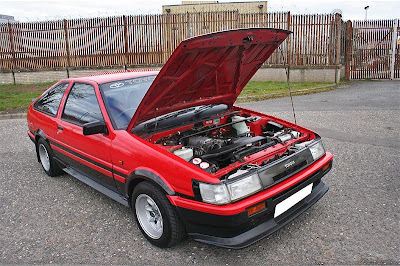 I'll stick to the Jap spec '86. Personally for me I prefer the Jap Import, but Red/Black is nice! So which style do you all prefer?? 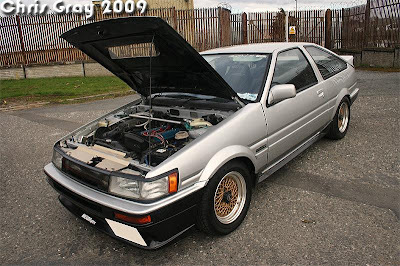 UK spec, or Import Japan spec? !